I love the news. Whether it is scrolling through Twitter for headlines, catching a morning broadcast, or picking up the occasional print newspaper, I love finding out what is going on in the world. I will admit my love of the news began with a major crush on Matt Lauer when I was five, but over time this love transformed from being a love of news anchors to a love of news media. Now I am looking at pursuing a career in journalism or communications, with the overall goal being some sort of involvement in the news industry. At W&M, I am always looking for ways to further explore the news and media: seeing a journalist speak on campus, serving as News Editor for The Flat Hat (the student newspaper at W&M), or taking classes related to journalism. 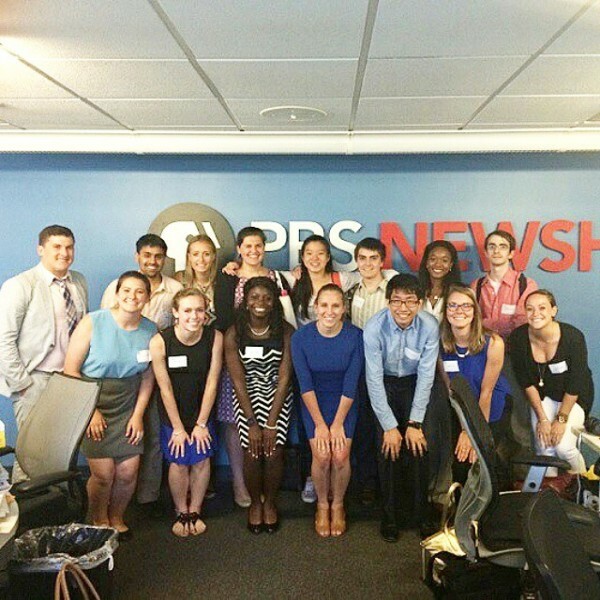 This summer I found the perfect opportunity to explore the news in the real world through the William & Mary DC Summer Institutes New Media program. A summer in DC, a city home to some of the world’s biggest newsmakers and news organizations, combined with two weeks of classes on new media and an internship, seemed pretty ideal to me. Now here I am a few weeks into the program and I must say it hasn’t disappointed. For my first blog (oh yes there’s more to come), I want to give you a run down of what the two weeks of intensive class were like. At first when I heard “intensive” class I was a little worried this might involve 9-5 lectures, but that was definitely not what I got. 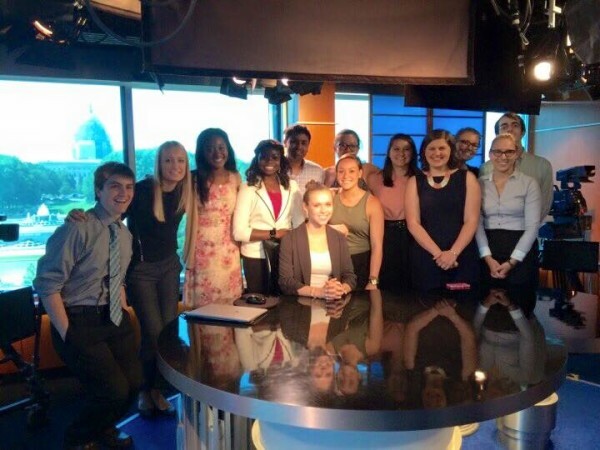 Instead my 14-person class spent most days exploring DC: visiting different media organizations, meeting people involved in the industry, plus a few hours of class discussion. While, yes, these two weeks were intense, I don’t know if I’ve learned as much or enjoyed myself as much in the span of two weeks as I did during my two weeks of new media class. Visiting National Geographic – Our first site visit for class was National Geographic, where we met with recent W&M alum, Erin Spencer, who works as a Production Assistant for Nat Geo Travel. Erin, who only just graduated in 2014, shared what life was like post-William & Mary and walked us through some of the amazing work Nat Geo is doing. She also introduced us to several other people from Nat Geo’s various other departments. We got to hear about how Corey Robinson helped film a sleeping bear, what factors Nat Geo considers when selecting photos, and how it take months to lay out an plan a Nat Geo magazine. New Media students at the Newseum exploring some of the new exhibits. Photo by Meicen Meng. Meeting Director Comey – During the first week of the program, all three institutes headed down to the FBI Headquarters to meet with FBI Director James Comey, a W&M alum. We were able to ask Director Comey a variety of questions, from his favorite memory at William & Mary to what he hopes to achieve as Director of the FBI. It was pretty incredible to hear from an alum who has done so much in their lifetime and is in charge of one of the most interesting and powerful agencies in DC. 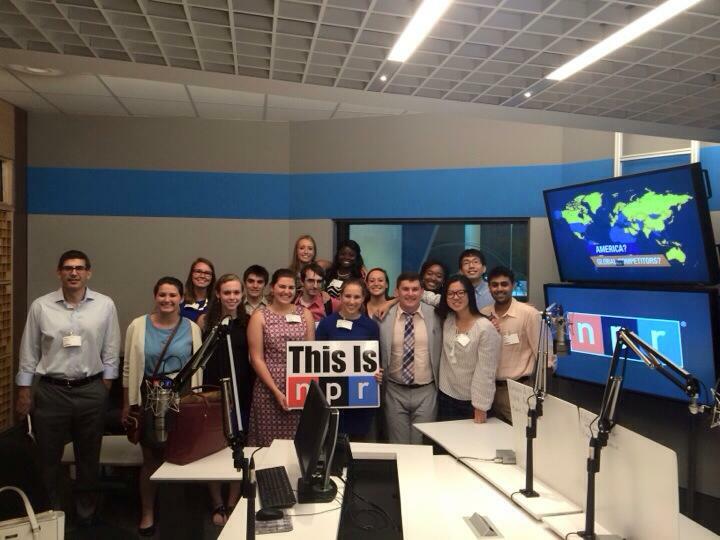 The New Media Institute visited NPR’s DC headquarters. (We saw the studio where Serial is recorded.) Photo posted by Catherine Korizno. Visiting the National Museum of American History – We stopped by the American History Museum to hear from Matthew MacArthur and Erin Blasco, who run the museum’s new media department. At first, I didn’t quite understand how social media could be all that important for a museum, but Matthew and Erin really showed us how much social media matters. They explained that social media is a key channel of communication back and forth between the museum and its patrons. Erin even showed us how she schedules their tweets and what the analytics were on their various posts. To say the least, it was impressive to see how much planning goes into their social media outreach and truly how much it matters. Also, Erin is amazingly witty in her tweets for the museum, so I highly recommend you follow them @amhistorymuseum. While visiting PBS NewsHour we were able to watch Gwen Ifill and Judy Woodruff prepare before going on air. Photo posted by Kayla Sharpe. Visiting CSPAN – I won’t lie, before visiting CSPAN I had the stereotypical view of it as a single camera, filming some not-so-exciting Congressional meetings. However, that is not the same view I left with. We spoke with two William & Mary alums at CSPAN and they explained to us what the organization really aims to do. I realized quickly that CSPAN does more than filming hearings; it engages with viewers, covers politics thoroughly, and explores history. CSPAN does so much more than I ever imagined. They have access to areas of our government that other news organizations struggle to reach. For example, CSPAN was able to gain access to the Supreme Court to film a documentary, which gave a rare inside look at how the US’s highest court works. We also spoke with Steve Scully, a CSPAN anchor, who discussed the outlook for the 2016 elections and his role as a journalist. Scully is also known as “The Most Patient Man on Television” according to John Oliver. We were able to stop into one of CSPAN’s studios, which has a pretty spectacular view of the Capitol. Photo posted by Katie Valery. Class Discussions – You might be surprised to see class discussions on my list of highlights, but I really found them to be one of my favorite parts of the class. 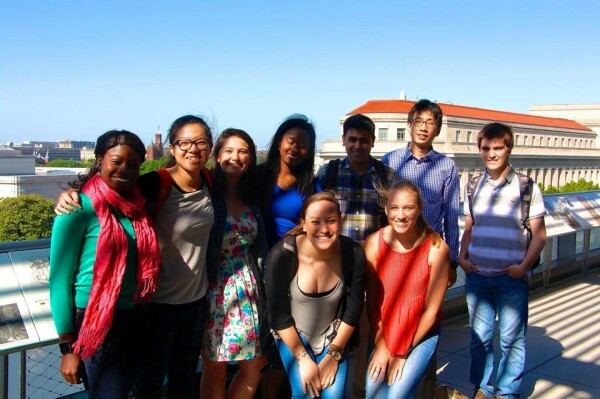 For 1 or 2 hours most days, our class would convene to debrief on our site visits and discuss some of readings. These discussions were really engaging; everyone from the class was able to speak and share their take. 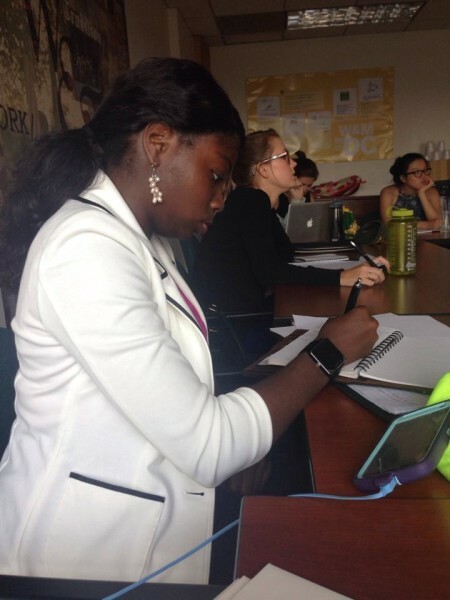 It was these discussions that really allowed me to connect what we had experienced out in DC at different organizations to our readings and larger concepts on the topic of new media. I loved these discussions enough to voluntarily live tweet one of them! Our New Media discussions ranged from concepts like fragmentation and spreadability, to conversations about how to most effectively tweet. Photo by Madeline Bielski. Hopefully, you can see from these highlights, these two weeks were pretty packed, but also really amazing. And remember these are just a few highlights; there were many, many more than just these five. But I figured listing all the amazing parts of the class would take a lot longer than one blog post. I could not be more thankful for those two weeks of classes, because not only did they teach me so much about the media and news, but they also prepared me for my internship. 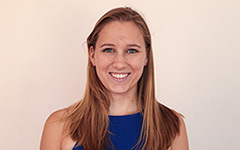 I am currently an editorial intern for Diplomatic Courier, a global affairs magazine; everyday I am pulling from things I learned in class and incorporating them into the work I am doing. More to come!